When the FAA created Part 107 and Certificate of Authorization, they provided two great ways for law enforcement agencies to create legal drone programs. The one catch is that, aside from taking tests and filling out paperwork, neither framework establishes a specific guideline for basic training of police drone pilots. In short, there is no national standard for drone pilots. 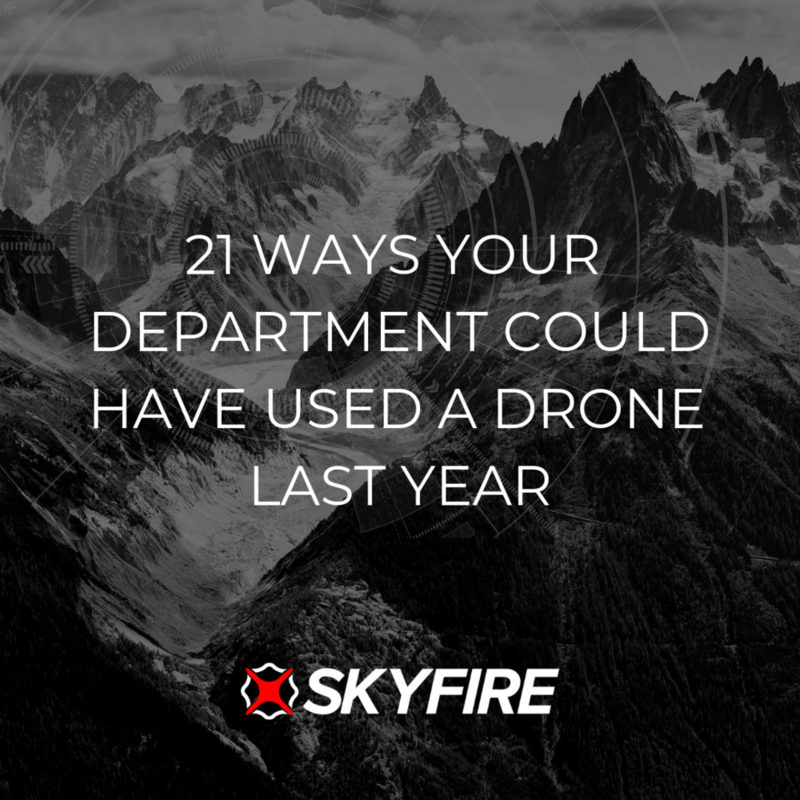 That is one of the chief reasons we started Skyfire, to help fill the gap in knowledge and training for police departments looking to start new drone programs. After helping train over 150 departments, we've learned a lot through the years about what works and doesn't work in police drone pilot training. While there are lots of topics and maneuvers that should be discussed, here are the top the 5 keys to great police drone training. 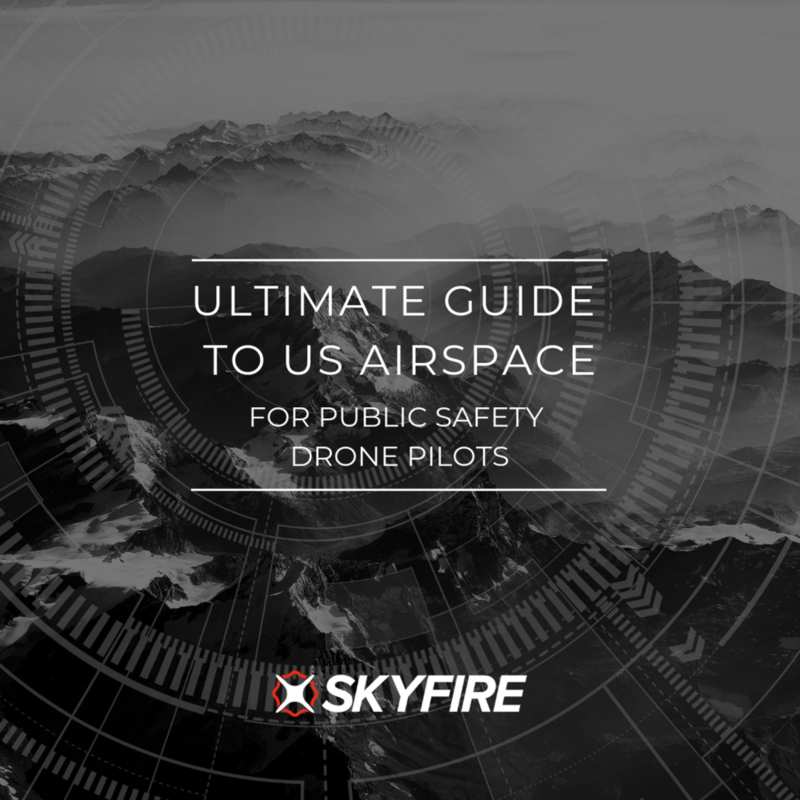 DOWNLOAD OUR EBOOK "ULTIMATE GUIDE TO US AIRSPACE FOR PUBLIC SAFETY DRONE PILOTS"
At this point in the development of industrial UAS, most are manufactured to such a high degree of quality that a failure is unlikely, with the exception of two key areas: batteries and propellers. 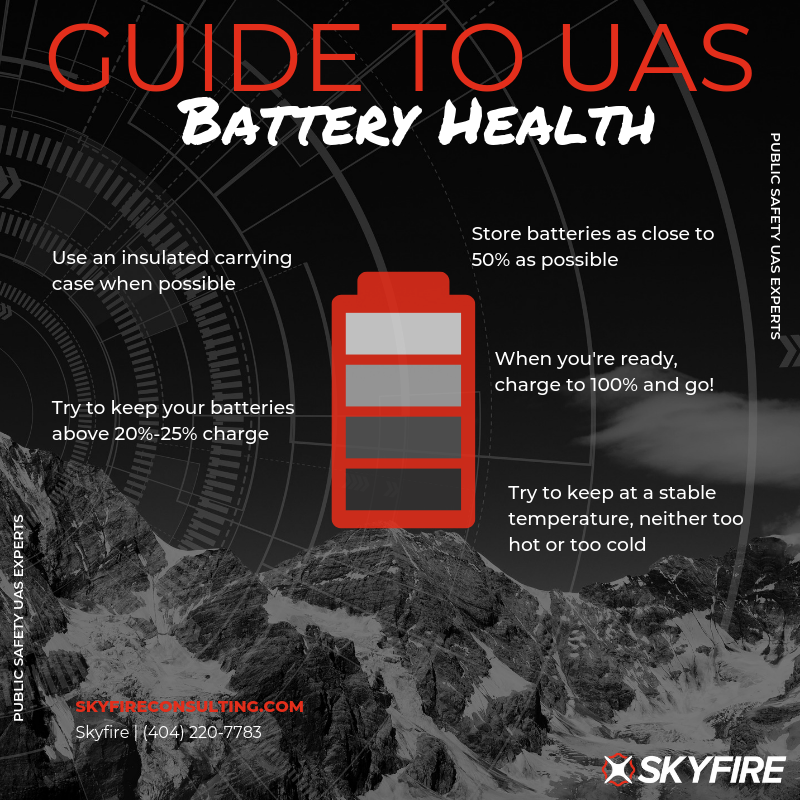 There's a certain irony in the two least expensive parts of the drone being the most likely fail points, but keeping up a regular battery and propeller maintenance schedule is one of the simplest ways to ensure your UAS stays in the air and flies the way it's supposed to. Successful police drone pilot training should include a section on proper battery maintenance, the key parts of the UAS, and a demonstration of common propeller issues. It doesn't have to take much time, but covering these issues at the outset could be the difference between a successful drone program and taking a heavy loss. 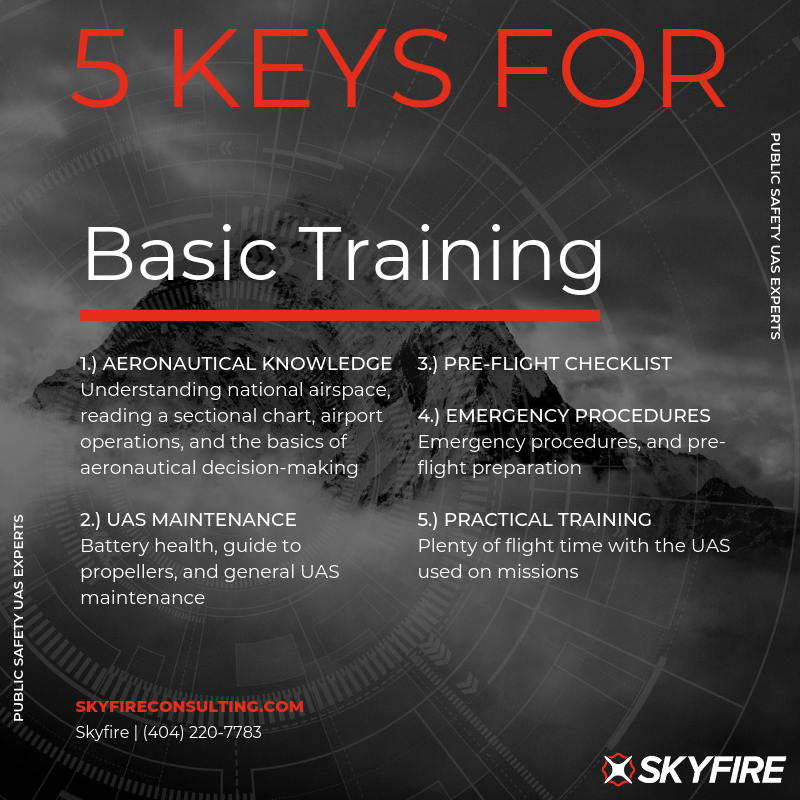 Another important way you can ensure that you get the most out of your UAS is by creating and maintaining a pre-flight checklist. As a law enforcement drone operator there's often a lot going on around you, so it can be helpful to have an easy-to-use checklist that lays out your steps simply. Laminate the checklist and you can reuse it for every flight. It's not fun to think about, but planning for--and practicing--emergency scenarios in advance will increase your chances of bringing your UAS back to the ground safely. As we pointed out in our blog "Tips From A UAS Pilot," try to evaluate the area around your mission to determine safe locations to land in case you can’t get back to home point. Alternatively, try to identify the places you absolutely do not want to land. While it can be tough to pre-plan when you're in the middle of an emergency, taking a few minutes (when possible) to identify a good place to bring the UAS down in an emergency can help mitigate fly-aways. Another option is to simply make sure you take off, and establish your home point, in a location that is truly secure. The last topic every successful police drone training needs to cover is the most obvious, but it's also the most easily over-looked. The best way to learn to fly a UAS is to actually grab the controller and get lots of stick time, yet, like any skill, your practice needs to be intentional and consistent. Make sure that you practice common maneuvers, in a variety of climatic scenarios, and during different times of day. And most of all ensure that your pilots are staying current with their training so that months don't pass by without picking up the drone. While there are a ton of important topics that need to be covered for any successful police drone pilot training, these are the top five that can make the most difference. 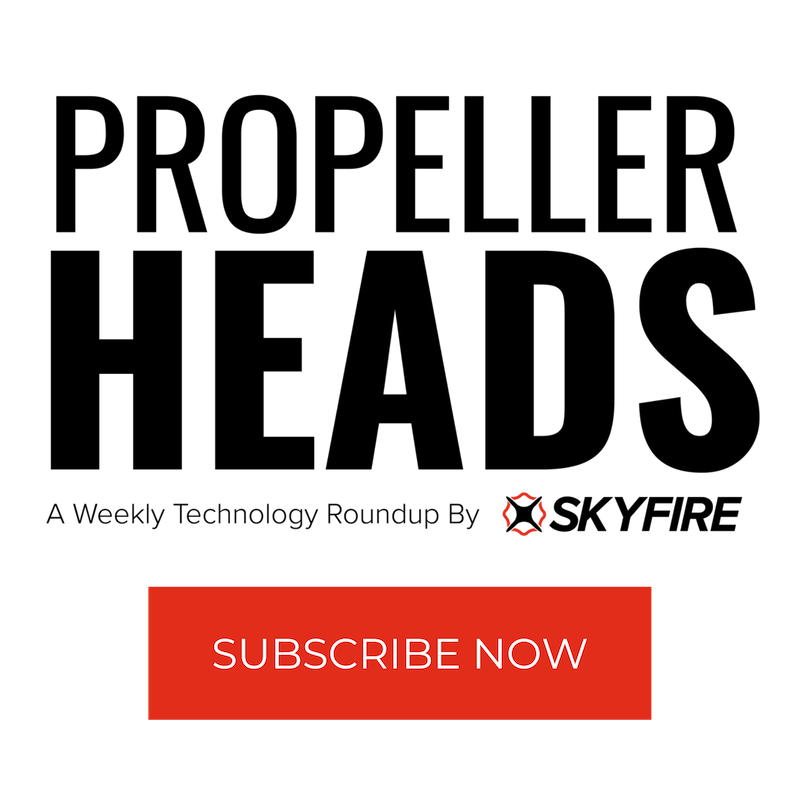 To learn more about how Skyfire can train your police department, check out our Ultimate Guide to Police Drone Training.